Did you know: three-quarters of parents in the US feel the pressure to be “party perfect” for their kids? I have been doing big elaborate birthday parties for my son. After so many years I am a pro at it. I don't expect everyone to do this by any means. I have a creative spirit and this just gives me a personal outlet. I do want to support those parents who have more child, who might not be creative or who do not have the time to go all out for Birthdays. We are celebrating Birthdays On-Demand with Netflix this month! Since we are celebrating, we decided to bake a cake, in honor Birthdays on Demand. 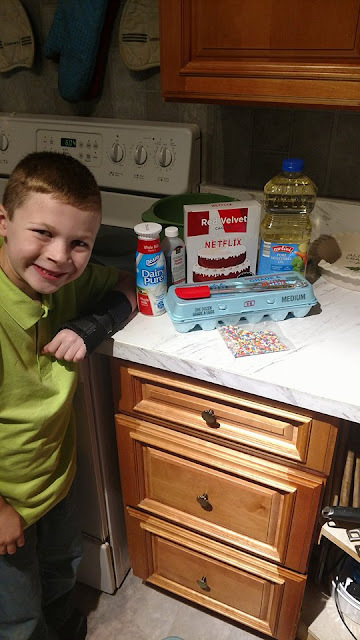 Creating a simple cake while suggesting fun Children programs you can watch. Have you seen any of these Birthday on Demand titles listed? Do you feel the pressure to make their birthday perfect? 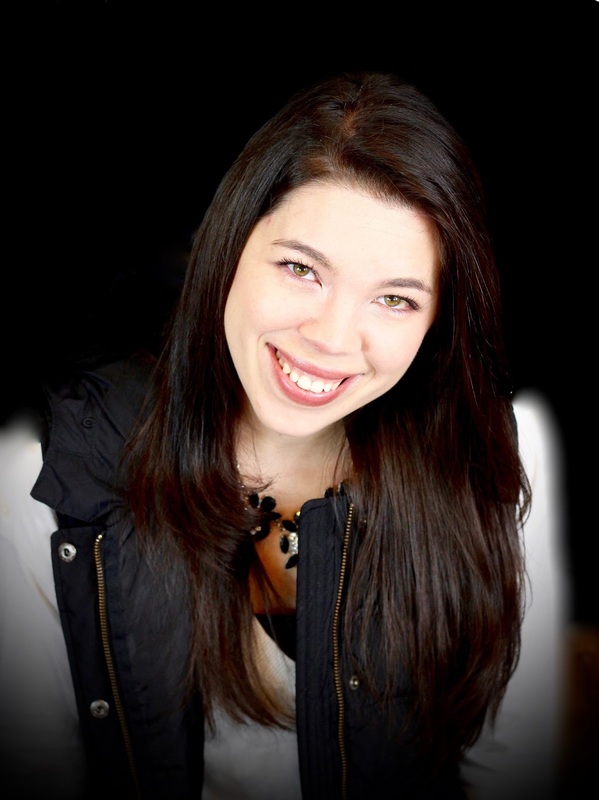 What stresses you out the most about birthday party planning? Do you have favorite Netflix titles we did not mention? 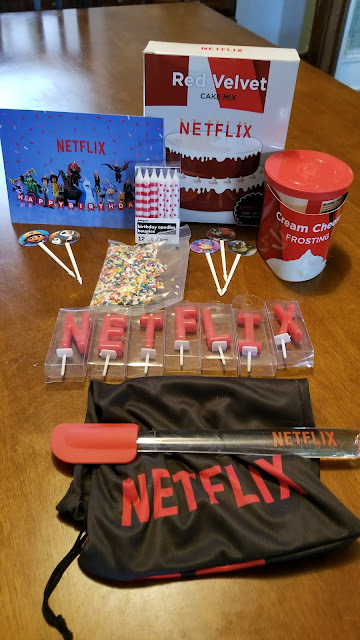 What an awesome idea from Netflix and how good does that cake look. 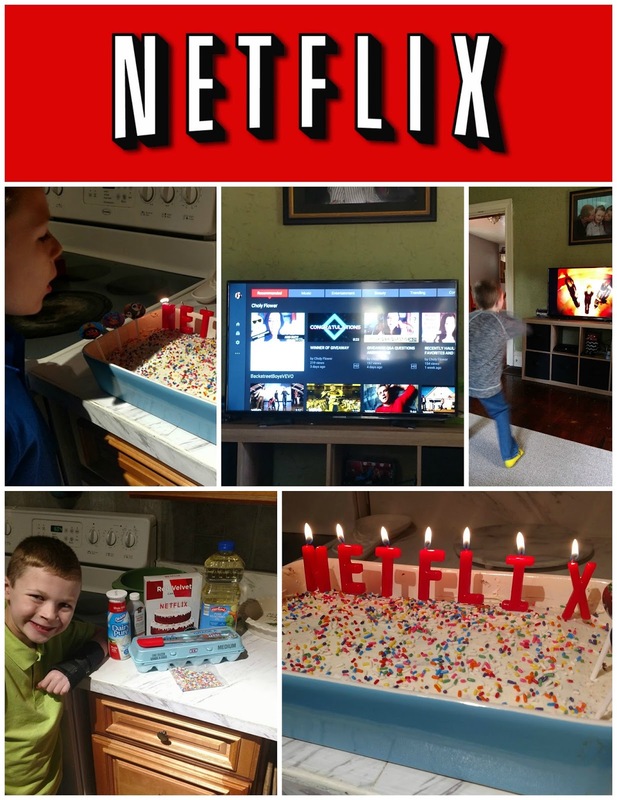 It's like a perfect mini birthday party Netflix and cake! We've not yet done a big birthday party for our kids, and I think this is the year we finally need to step up our game. I've got time to plan, but this is certainly something worth thinking about! Havent done an elaborate birthday party yet for my kiddos. But I'm sure that day is coming soon, especially as my older one will be 4 next year and starting to get pretty dang excited with just the mention of anything birthday related. That is such a cute and unique idea! I absolutely love Netflix. It has me so spoiled with binge watching that I can barely stand to watch series on regular television now. I just love this idea. Netflix is the best! I'm going to try this out the next time a birthday rolls around. 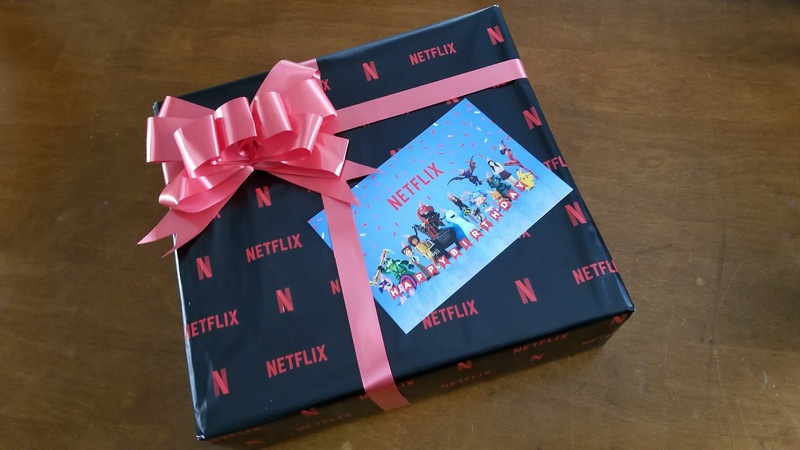 Wow , that is really nice of netflix !!! Love the simplicity and bet the cake tastes good !!! I love surprising birthday party very much. And this idea from Netflix is awesome. I am impressed by the colorful and lovely cake. I would try this to celebrate birthday with my friends. Thanks for your sharing. We are huge fans of Netflix so this would be perfect for us! PS - I love the way your red velvet cake turned out! Delish! I didn't know there is something like this but for me it is cool. 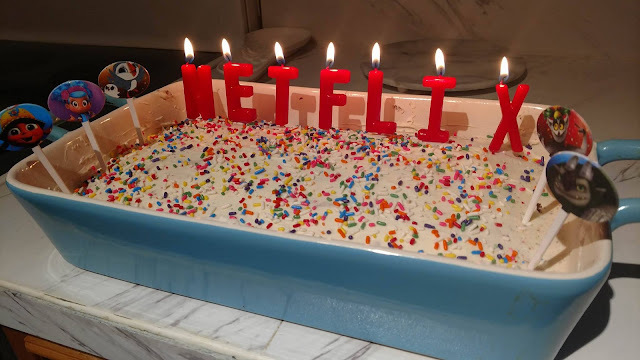 How awesome it is to bake a cake from Netflix? Love your list also! I think Netflix had a great idea implementing this. I know I'll sure be using it! I don't have kids yet but planning really makes me stress and checking out what supplies in need and also when time is running out. But inspite of the stress, when setting up a successful party make me very happy. What a fun and festive idea for movie nights! I love this creative idea. So perfect for birthday parties and other gatherings. This looks like fun! I've not heard of this before but it sounds cool. The thing that stress me out when planning birthdays are food and decoration. This is adorable. Kore reason to enjoy Netflix and bond with kids at home. Awesome! The cake looks amazing in the pictures. 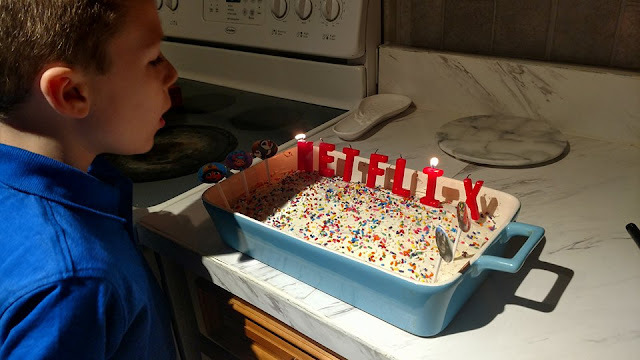 Also this idea of Netflix on Demand Birthday parties is a very good idea.